Summer will soon be here! While it’s exciting at first, inevitably the summertime boredom will set in. 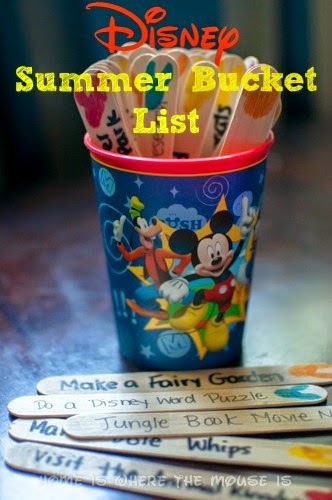 Cut your kids off at the pass and give them a bucket of ideas sure to keep them occupied all summer long. 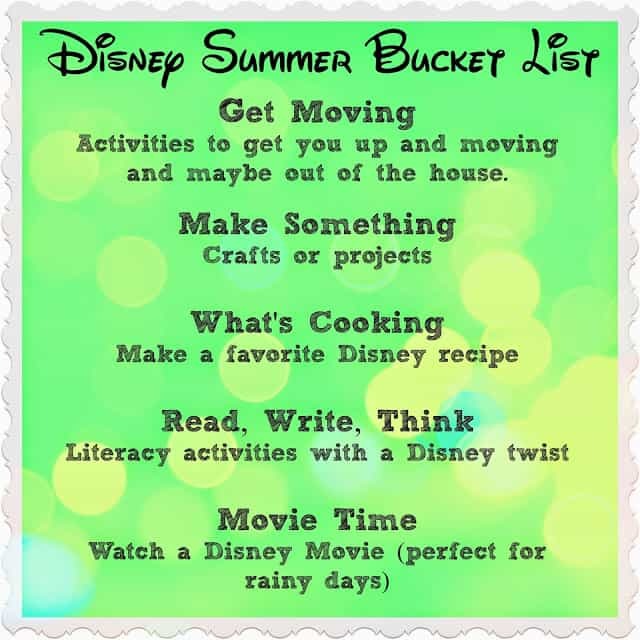 Here is an idea for a Disney-themed Summer Bucket List full of activities for plenty of summer fun! As a teacher, I get the whole summer off. For me it’s a time to catch up on everything I may not have had time to do for myself during the school year. But, also I love getting to spend time with my kids. Since Bella was born, I’ve tried to fill summer breaks with day trips, beach days, crafts, cooking, you name it. Once she got to be preschool aged, we started to make Summer Bucket Lists. Together we would decide what we most wanted to do that summer.Over the years we’ve tried different variations. 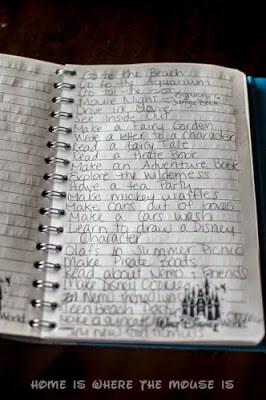 We’ve simply made a list, put slips of paper in a beach pail and written our ideas on paper buckets. Last year we tried to keep to a daily schedule, but we didn’t like the lack of freedom. This summer, since we’ll also be counting down to our Walt Disney World trip, I thought it would be fun to put a Disney spin on our bucket list. While we might not get through everything, it will be fun doing a Disney themed activity each day. Then we color coded the Popsicle sticks to go along with each category. I let Bella do this part. She also chose the colors. 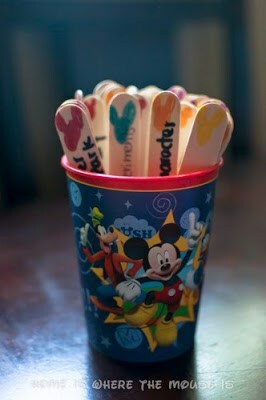 Next, I wrote each activity on the Popsicle stick, giving it a Disney theme as needed. I also had to make sure the activities were ones both of the kids could do. We also have some more ideas on our Disney Summer Camp/School board. 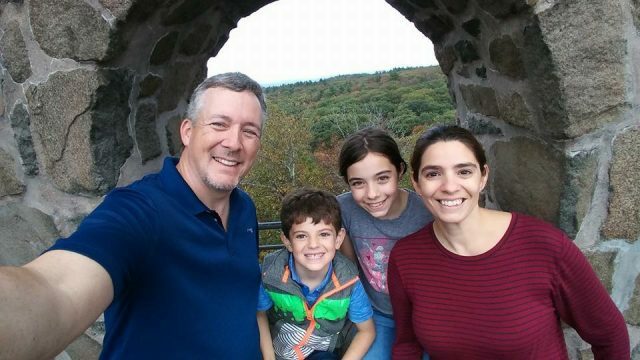 Follow Lisa&James | Home is Where the Mouse is | Disney Tips’s board Disney Summer School/Camp on Pinterest. Finally, we placed the sticks in our Mickey Bucket. We have about 10 sticks in each category. When summer comes. I’ll let the kids choose one stick a day. I also will suggest the color stick they’ll choose depending on time and weather. We’ll probably not be able to finish them all, but we have lots of options. Now all that’s left to do is wait. (School doesn’t let out until the end of June here, ugh!) I can’t wait to have fun with my kids this summer. We’ll let you know how it goes. What a fun way to do Disney at home! We'll definitely be using some of your ideas at our house this summer!